Slim UP® ULTRA offers a complete range of treatments which employ synergetic energies for globally treating unsightly body imperfections. 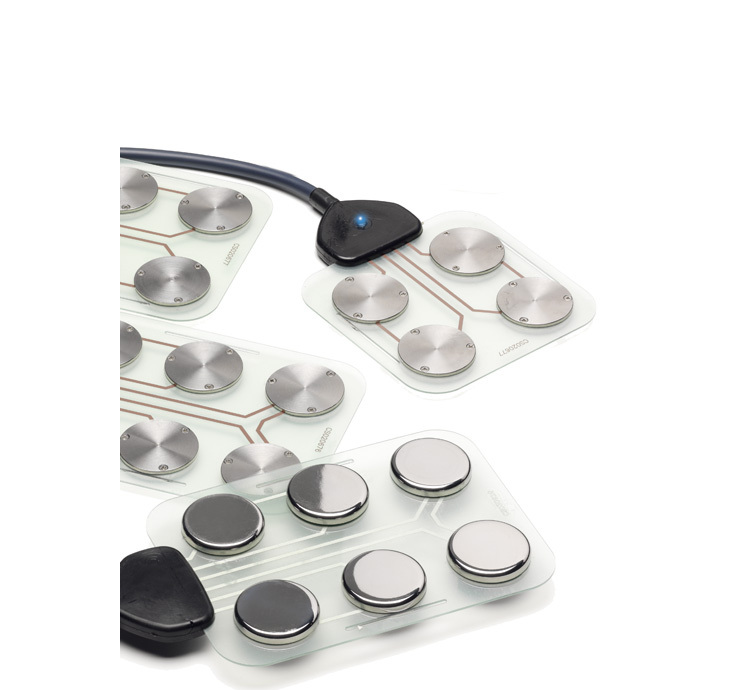 The absolutely unique strength of Slim UP® ULTRAlies in a careful and detailed examination of energy associations and their ability to deal with a cosmetic problem from many directions and with power boosted by these concerted effects. 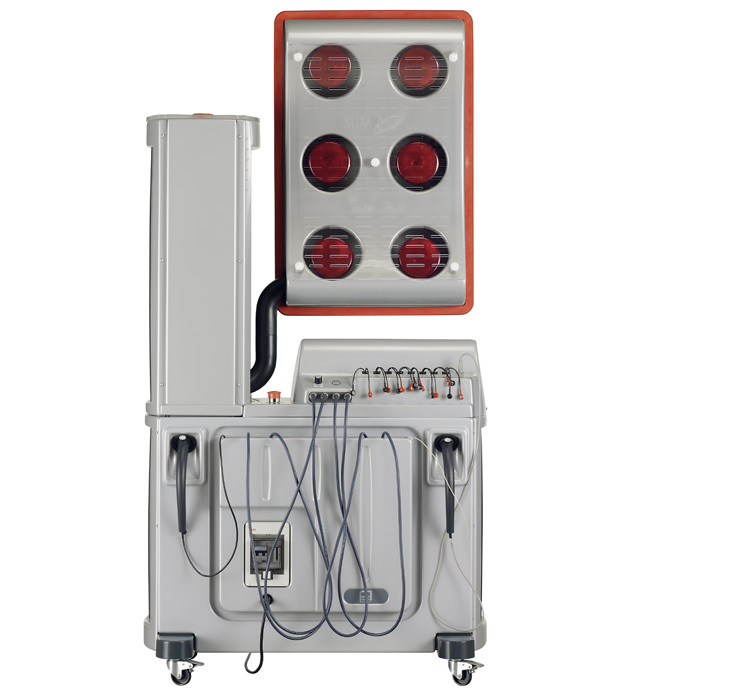 By integrating a widely laboratory tested infrared-electro stimulation treatment with strong ultrasound wave sources represents a decisive innovation in the cosmetic industry, giving the professional beautician an advanced, complex yet easy to use tool: 16 adhesive stimulating electrodes; a full 20 active ultrasound heads distributed over just 4 easy to position plates; 6 infrared ray sources distributed through the use of a height adjustable, mobile arm; 7 resident programs which can be controlled in terms of time and intensity to treat the most common cosmetic problems. But, Slim UP® ULTRA also represents an important advance when it comes to rejuvenating and firming the face and body through two hand pieces which open up new and fascinating horizons in cosmetic treatment. 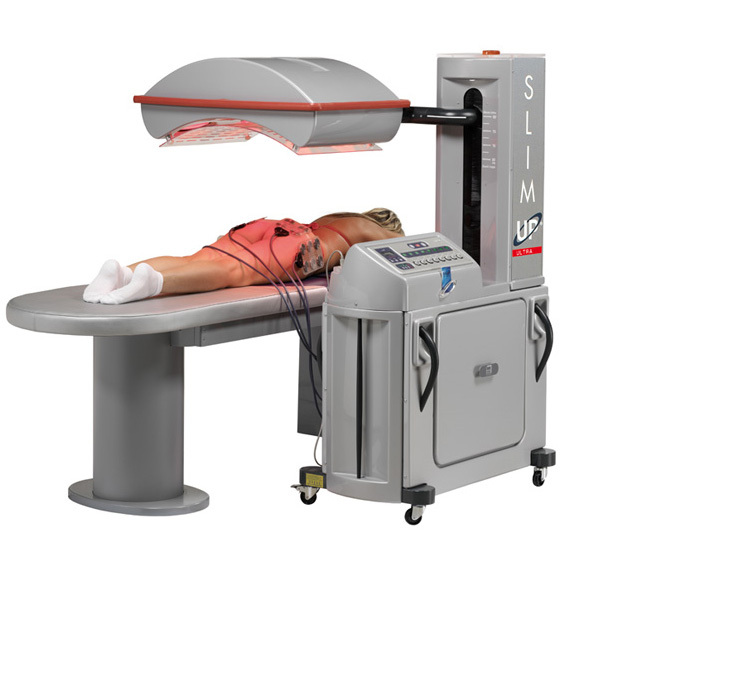 SLIM UP® ULTRA includes a transponder uploading system for the SLIM UP® TOP CARD in which the treatments recorded by SLIM UP® STATION are stored; after been performed, they are automatically taken off the SLIM UP® TOP CARD.